Ever since the election of 2016, and really since the primary election of 2016, I’ve been stewing. Trying to find my place in the world. Trying to fulfill my destiny and childhood ambition of making the world a better place. Wildly, I searched for ways I could contribute to the political revolution that percolated through activists, and that was catapulted to the main stream through Senator Bernie Sanders. What could I do? How could I help? My motivation stemmed not only from the election of Donald Trump, but from the primary process and how contrived it appeared to be. Long lines, less polling places, provisional ballots, purged voter rolls, biased media coverage, media shutouts, etc. A mutual friend on Facebook saw me debating in favor of progressive positions and she recommended that I send a friend request to Lily Starling. It was through Lily that my eyes were opened to the activist world. Her insightful commentary and pragmatic approach has firmly established her as a leading voice among progressives. Through Lily, I learned of Sam Ronan’s campaign for DNC Chair. I followed the race closely and sent Sam a friend request too. I was quickly drafted as a volunteer in his newly formed Our Voice organization, which was designed to help progressives win elections and advocate platform issues. At Our Voice, I contributed three articles commenting on current events and political efforts. As the organization evolved, Sam empowered other leaders to take flight and go on without him so he could focus on running for Congress. In early 2017, I started donating to aspiring politicians, and was hoodwinked by a few fauxgressives. But never fear; I received full refunds and reinvested that money into true progressive candidates like Kevin Kensinger who’s running for U.S. House of Representatives in California’s 48th district and David Hildebrand who’s running for U.S. Senate in California. 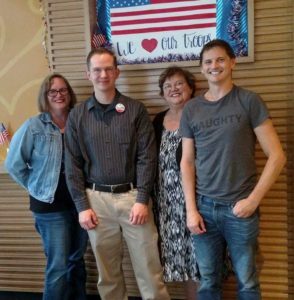 My family and I met with David Hildebrand in Anaheim, CA last fall. 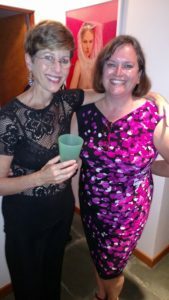 Through my involvement in Our Voice as a contributing writer, I was taken under the wing of Lauren Steiner of The Robust Opposition who enlightened me of many local topics such as the California DNC race, the #SheDoes movement, local assembly races, Green and Independent candidates I wouldn’t have previously considered, and more. She welcomed me, and my son, into her home for several fundraisers and has been a supportive friend ever since. 2017: Lauren Steiner and Jenna Beck at a fundraiser for Tim Canova. Soon after, I connected with Don Ford, who has been a mentor to me and a staunch advocate of my work. He’s helped me understand the ground game and tactical strategy that needs to be implemented to win elections. 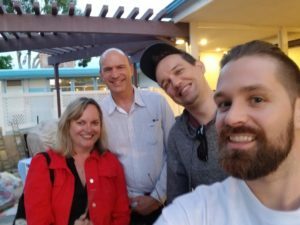 Then, I joined Our Revolution Costa Mesa and met co-founders Tim Johnson and Russell Baldwin, who have both given me the opportunity to really stretch my wings. Together, with our chapter, we endorsed a slate of progressive candidates, organized a candidate Bern Berner event, and helped to promote the campaigns of our endorsed candidates. 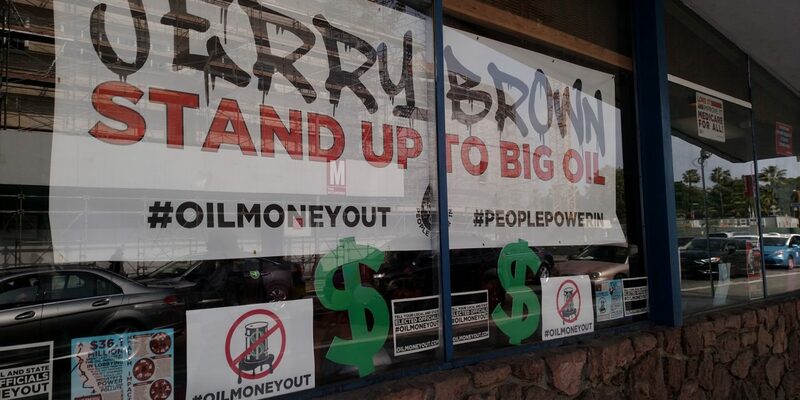 Photo Credit: Tim Johnson, Director and Co-Founder of Our Revolution Costa Mesa. ORCM Barn Berner: Jenna Beck, Russell Baldwin, Don Ford, and Tim Johnson. As I’ve networked, donated to candidates, volunteered for candidates, and volunteered for causes, I’ve learned that a lot of my everyday business skills are transferable and valuable to the progressive movement. Which is why I partnered with my longtime friend, Shamann Williams, to co-found Undercovered Magazine. This online magazine has given not only me a platform to affect positive change, but also a wonderful group of independent journalists and activists who I’m proud to have the opportunity to collaborate with. Thank you for your partnership and support, Lily, Don, Lauren, Tim Black, Michelle Gale, Lauren Tenney, and Ryan Skolnick. My story is much longer than this, but I hope to take another step out of my comfort zone and do my first livestream in the near future. When I muster the courage, I’ll add the video to this article. Whatever happens on Tuesday, we have already won. We have pulled the party to the left. A conservative real estate mogul is running as a “progressive” Democrat. Establishment Democrats are running “corporate-free.” A charter school advocate is defending her history and calling for a moratorium on new charter schools. Baby steps. And it won’t stop here. We’re just getting started. Newbies like me are fired up and ready to take 2020. I’m very fortunate for all of the wonderful people who have helped me along my journey. These are the people who really care about the movement and are working hard to make it happen. I’ve also learned to be a better judge of character to avoid those who are lacking substance and moral fiber. While I ran into some obstacles and distractions, with the help of my new progressive family, I’ve been able to adjust and thrive. This is one of the best times of my life and I intend to enjoy every single minute of it. Oh, and Bernie’s coming tomorrow. NOW LET’S GO WIN THE PRIMARY!!!!!! On a side note: Undercovered Magazine is a labor of love. All members have contributed their content without receiving any funding for the past six months. Kindly take a moment to help fund Jenna’s writing by donating to paypal.me/jennajbeck.